Savannah State University is pleased to present the 2017-2018 Class Kings and Queens. The cornoation will be held Thursday, October 5 at 8:00 PM at Tiger Arena. Miss Savannah State University is Antonia Green. Miss Antonia Green is a senior journalism and mass communications major with a concentration in public relations and advertising. A proud native of Brunswick, Ga., she is the daughter of Antonio and Sheena Green, and Chatham and April Davis. 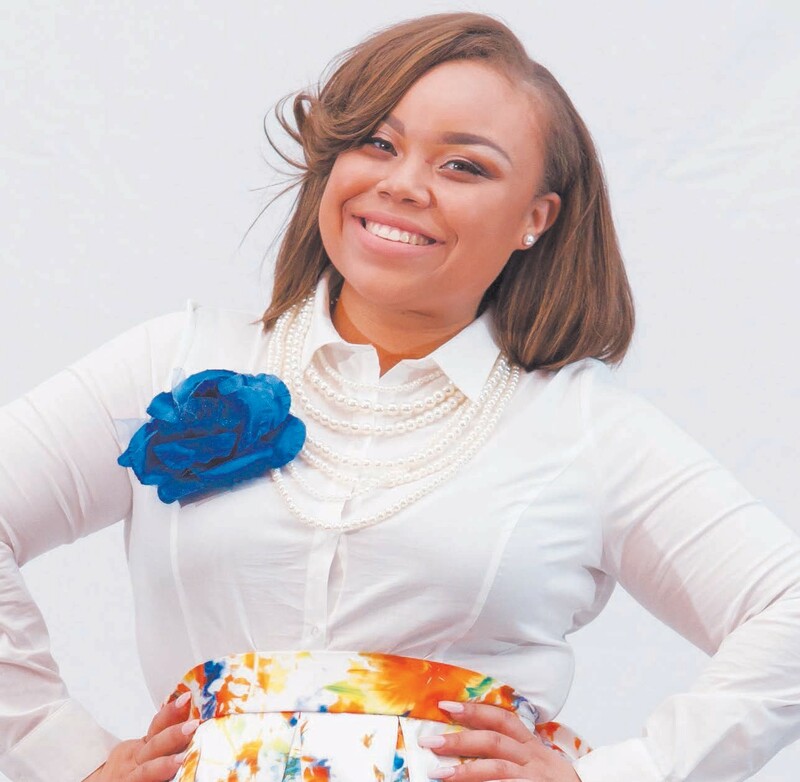 During her time at SSU, Green served as a student orientation leader, Student Government Association junior class treasurer and Miss Residence Hall Association 2015-2016. Green works in the community with the Savannah Tree Association, America’s Second Harvest, Frank Callen Boys & Girls Club and Grandparents of America. She offers her services as an after school tutor for adolescents. Green is also currently the public relations intern at the Salvation Army’s Savannah office. Upon graduation, Green intends to obtain her master’s degree in mass communications. 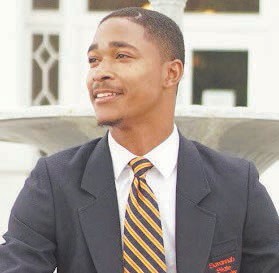 She plans to start her own public relations firm and work with small businesses on the rise..
Mister Savannah State University is Rakim Johnson. Rakim Johnson is a senior journalism and mass communications major ma- from Stone Mountain, Ga. He is the only child of Angela Renee Johnson. As a member of Kappa Alpha Psi fraternity, he holds himself to the principle of, “Achievement in every field of human endeavor.” During his time as Mr. SSU, Johnson plans to encourage fellow Tigers to become more involved on campus. After graduation, Johnson’s goal is to become a sports reporter. Mister Senior is Eddie Terrell Richardson. Eddie Terrell Richardson is a senior biology major from the Bronx, New York. He is the son of Terrell and Janiel Saddler. On campus, he is an active member of the NAACP. Off campus, he has volunteered at Forsyth Park’s feeding the homeless and hungry, and local libraries reading to children. “I’ve learned that carrying yourself well, having manners, and having a positive outlook will take you further than anything else in life.” After graduation, Richardson plans to become a dermatologist. Miss Senior is Ashleigh Paige Turner. Ashleigh Paige Turner is a senior sociology major from Atlanta, Ga. She is the daughter of Reginald and Renee Turner, Sr. She is active on campus and is a proud member of Student Orientation Leaders, the Collegiate Section of NAACP and Student Government Association. She has volunteered at the Boys and Girls Club, Habitat for Humanity, Project Inspire, and has done community service with the Atlanta based non-profit organization, Project Future, Inc. Turner plans on becoming an elementary school counselor. Mister Junior is Cedric Ladell Trussell, Jr. Cedric Ladell Trussell, Jr., is a junior electrical engineering technology major from Atlanta, Ga. He is the son of Dionne and Darron Maddox. During his time at SSU, Trussell has became a member of Alpha Phi Alpha fraternity, the Student Government Association and the Men Of Bostic. Trussell plans to lead his class by increasing school pride and increasing retention. His future goals include continuing his education and becoming a biomedical engineer. Miss Junior is ShaRae’ Lashunn Smith. ShaRae’ Smith, a junior criminal justice major, is a native of St. Louis, Missouri. She is the daughter of Mrs. K. Marie Smith. She interned at the law office of Kwame Thompson for two summers in Atlanta, Ga. Smith also volunteered with the Boys and Girls Club, Hands on Atlanta and the Susan G Komen Foundation. She aspires to become a parole officer and a judge. Mister Sophomore is Leonard Bernard Mobley, Jr. Leonard Mobley, Jr., is a sophomore business marketing major, with a minor in journalism and mass communications, from Atlanta, Ga. He is the son of Ms. Nekila White. He is active on campus as a member of Men of Excellence Academy, residence hall association and the Student Government Association. Off campus, he has volunteered at the Boys and Girls Club of America, Habitat for Humanity and the Atlanta Foodbank. His goal is to become a marketing manager for a Fortune 500 company. Miss Sophomore is Nyome Symone Griffin. Nyome Symone Griffin is a sophomore political science major from Stockbridge, Ga. She is the daughter of Mr. Kent and Mrs. Elyse Griffin. She is active on campus as a member of Her Campus, the Collegiate Section of the NAACP and the National Conference of Black Political Scientist. She volunteered with Atlanta Women’s and Children Shelter, several different food banks, senior citizens homes and river clean-ups. She aspires to become a federal judge. Mister Freshman is Freedom Tyrik Calloway. Freedom Calloway is a freshman journalism and mass communications major from Atlanta, Ga. He is the son of Mr. Patrick Calloway and Mrs. Rhonda Butler. A mass communications major, he aspires to become a Sportscaster. He looks forward to joining many campus organizations and Calloway volunteered at numerous places in Atlanta such as Boys and Girls Club, Habitat for Humanity, Parkside Elementary and Burgees-Peterson Elementary. Calloway’s goal is to become a sportscaster. Miss Freshman is Sydney Monet Clark. Sydney Monet Clark is a freshman journalism and mass communications major from Atlanta Ga. She is the daughter of Dane and Vanessa Clark. She aspires to become a sports announcer.